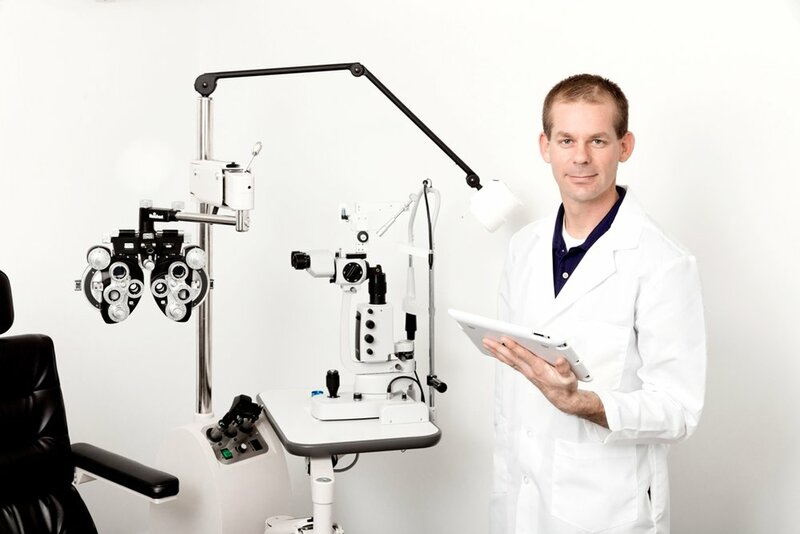 Eye exams with our Optometrist in Ketchum - Sun Valley Idaho. Armstrong-Root Opticians opened in 1993 in Brentwood, California. Located in the center of the entertainment industry, the concept was to bring quality and fashion together at the highest level - creating an environment that focused on personal style and customer service. With this concept, Armstrong-Root quickly became the go to place for eyewear aficionados in West Los Angeles. Over the next five years Armstrong-Root developed it's own brand of product and opened stores in Malibu, Salt Lake City and Sun Valley. In 2001, Armstrong-Root sold it's California and Utah operations to Oliver Peoples (now a division of Luxottica). Armstrong-Root Opticians in Ketchum continues to operate under the leadership of Laurrine McGowan, providing customers from around the world the same high quality service and products that have made Armstrong-Root the best source for the latest in eyewear fashions and quality eye care treatment. Armstrong-Root is proud to offer the expertise of our optometrist Dr. Matthew E. Kent, OD, PA, licensed opticians, and style consultants. One glance at owner Laurrine McGowan is all it takes to understand the aesthetic of Sun Valley's Armstrong-Root Opticians: minimal, elegant, and precise. From the clean lines of the boutique eyewear gallery to the designer frames on display within, everything at Armstrong-Root feels stylish and crisp. Since Armstrong-Root opened, Laurrine has fulfilled the vision of a store that combines fashion, state of the art eye exams, and quality products at the highest level. Her dedication to customer service is unparalleled. Mariana has called the Sawtooth Mountains home for over a decade. As an avid hiker, mountain biker, and skier she knows the importance of protecting her eyes from the harsh glare of the water and snow. She received her NCLE (National Contact Lens Examination) and ABOC certificates six years ago when she began working alongside Laurrine and Katrina at Armstrong-Root. When she is not helping a customer find the perfect frame or retrieving a rogue contact lens, she enjoys gardening and spending time with her daughter, Elsie, and husband, Kevin. Born and raised in a small town in Western Maine, Katrina started her life here in Sun Valley after graduating from Bates College with a B.A. in Environmental Studies in 2008. Since then, she has called the Wood River Valley her home. With over six years of experience as a licensed optician at Armstrong-Root, Katrina has an aptness for adjusting and repairing even the most damaged frames. She also prides herself in selecting eye wear that reflects patients’ individual personality and fashion preferences. Outside of work, Katrina enjoys designing her 8 natural home aquariums and traveling. Dr. Matthew Kent - O.D., P.A. Dr. Kent graduated from Richfield High School in 1994. He pursued undergraduate studies at Ricks College, Brigham Young University, and Pacific University. Matt returned to his home town after completing his doctor of optometry degree at Pacific University College of Optometry in Forest Grove, Oregon in 2005. Matt enjoys working outside, playing basketball, pouring concrete, and spending time with his family. He and his wife Becky have five children and live in the middle of a small alfalfa field. Garrett and his wife Kristine recently moved to Sun Valley from Logan, Utah. He graduated with a B.A. in Global Communications and French. He is the newest member of the ABO certifited Armstrong-Root team. Garrett is at home in the mountains of the surrounding area as he enjoys mountain biking, trail running, and snowboarding. He and his wife have an adorable cat named Cheddar.